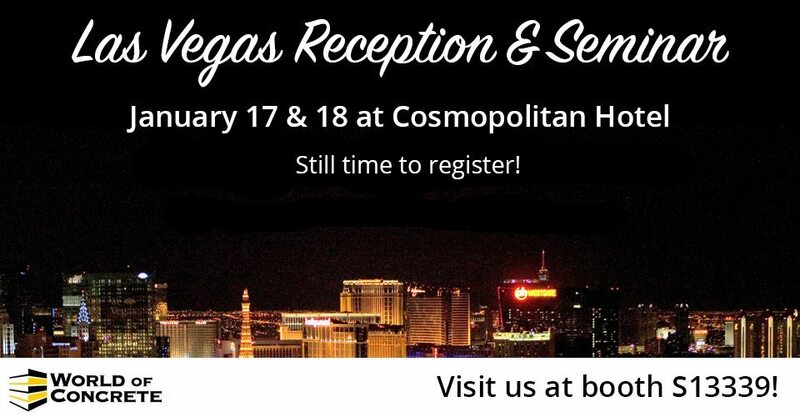 The PierTech Team will be in Fabulous Las Vegas, Nevada, January 17th and 18th. We would like to remind you to join us for a training seminar and reception in Las Vegas during the World of Concrete. To RSVP, call 866-536-5007 today. Please join us January 18th for a fun-filled evening reception! PierTech is also hosting a FREE Installer Certification Seminar, hosted on a first come first serve basis. Only a few spots remain for the seminar. All events will take place at the Mandalay Bay Hotel and Casino. We would like to show our customers and friends our sincere appreciation for your business with an exciting reception at the Cosmopolitan Hotel & Casino. Come meet the PierTech Team and enjoy an open bar, snacks, hors-d’oeuvres, door prizes, and a few surprises. Please call to be added to our VIP guest list at (866)-536-5007. If you are interested in attending either the seminar or the reception or both, give us a call at (866)536-5007 asap to sign up.